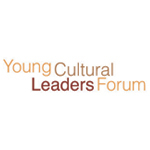 Editor’s Note: This is one of a series of blog posts from Fellows and panelists of this week’s Salzburg Global Forum for Young Cultural Leaders. Leaders from around the world are coming together to discuss issues that are critically important to the cultural sector − how do we create and articulate our value, what is global and what is local today and what is the role of arts organizations in society. Culture and the arts are essential components of a comprehensive education leading to the full development of the individual. The arts are both the manifestation of culture as well as the means of communication of cultural knowledge. Each culture has unique artistic expressions and cultural practices. The diversity of cultures and their creative, artistic products represent contemporary and traditional forms of human creativity, which uniquely contribute to the nobility, heritage, beauty and integrity of human civilizations. Awareness and knowledge of cultural practices and art forms strengthens personal and collective identities and values, and contributes to safeguarding and promoting cultural diversity. With regard to my area of expertise, I would like to discuss, in particular, the role of cultural heritage in civil society, and even more specifically the role of World Cultural Heritage. If cultural heritage is taken seriously as a source of identity, it needs to be more than simply conserved. Its relevance needs to be communicated in the present so that it may continue into the future. The Outstanding Universal Value of World Heritage sites is based on local values, local experiences and local conservation efforts. Therefore, the process of handing down from the past must be actively constructed and maintained in the present, if heritage is to have any sustainable future. Accordingly, local communities are to be involved in the relevant processes. The Operational Guidelines for the Implementation of the World Heritage Convention address this issue as follows: “States Parties to the Convention are encouraged to ensure the participation of a wide variety of stakeholders, including site managers, local and regional governments, local communities, non-governmental organizations (NGOs) and other interested parties and partners in the identification, nomination and protection of World Heritage properties” (World Heritage Centre, July 2012, para. 12). Moreover, the inclusion of local people in heritage management has been extensively promoted by the UN Forum on Indigenous People. Being deeply rooted in a local context, besides its significance with regard to identity, cultural heritage can also serve as launch pad for learning. The purpose of cultural creation being to encode messages and memory from the past, the task of educators is to help decode that memory and learn from it. In many countries both tangible and intangible aspects of cultures are being lost because they are not valued in the education system or are not being transmitted to future generations. Hence, it is crucial for education systems to incorporate and transmit cultural knowledge. 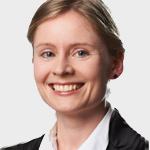 Patricia Alberth is a Fellow of the Salzburg Global Forum for Young Cultural Leaders and an associate expert at the UNESCO World Heritage Center where she is in charge of periodic reporting on Europe and North America. She worked for several years at the UNESCO Asia-Pacific of- fice where she successfully completed projects in the fields of culture con- servation, underwater archaeology and heritage education in Asia. In Europe, she worked as a consultant for social development processes and tentative World Heritage sites. Ms. Alberth received a B.A. in interna- tional economics from the International Business School Groningen (The Netherlands) and the University of Macau (China) and an M.Sc. in World Heritage Studies from the Brandenburg Technical University of Cottbus (Germany).